North Carolina is a beautiful state, and it is also one of the fastest growing states in the country. South of Raleigh is a small town of almost 39,000 residents called Apex, and Scotts Mill is a part of Apex. The population is approximately 660 in 240 households, which gives the homeowners a segment of property to call their own. Homes are typically single family dwellings that are very reasonable and range in price from $200,000 to $300,000. 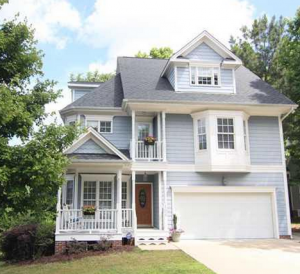 The neighborhoods that surround Scotts Mill are also family-oriented and up-to-date communities. Beaver Creek, Kelly Green and Autumn Range provide like-minded neighbors that all share great schools, parks and neighborhood stores. Scotts Mills is bordered on one the southern side by the Triangle Expressway, which provides easy access for Scott’s Mill residents. What draws families to the Scotts Mill community is the traditional two-story homes with two car garages, and the amazing trees that North Carolina is famous for. Every home has approximately half acre of property that allows your children room to play outdoors and breathe the fresh air. Many homes are three and four bedroom in 1,400 sq. feet of living space, which allows growing families the room to live a comfortable lifestyle, and the prices will fit a growing families’ budget. The Scotts Mill community is located right in the middle of the state of North Carolina, which gives residents a great advantage for to reach out in any direction. If you must commute to work, Raleigh should only take an hour one way on the average. Weekends and vacations on the beach are not a far drive and allow you to save money on travel expenses. The North Carolina beaches are pristine and not as commercial as those further south and north. Myrtle Beach is only a three and a half hour drive, and there is plenty of fun and excitement to give the family busy for months! The International Golf Course, amusement parks and crazy shopping ensures that your family will have a super time. Virginia Beach, to the north, and Norfolk, Virginia are a further drive, but there are endless possibilities for fun and new experiences. Virginia Beach is the largest city in Virginia, but Norfolk is a historical city. There are interesting landmarks from the 1700s, museums and buildings that have endured for hundreds of years. The area of Norfolk has roots that go back to the earliest times of the beginnings of this country, and visitors can’t help but acquire some of the patriotic atmosphere that fills the city. If you are living at Scotts Mill, Virginia may well become one of your family’s favorite trips.